I was one of three leads that lead the texture team on Pi at different times. I was also the primary painter for Richard Parker. My responsibility was to create detailed color, sss, spec, normal and 32bit displacement maps with the ultimate goal of matching the real tiger from set one for one. I created stripe charts to match our stripes to the tiger actor where I numbered and tracked each stripe as it wrapped around the tiger's body. The look-development artist ( the fantastic Betsy Hall) created extensive reference composites to compare our tiger to the real tiger at almost every possible angle and lighting scenario. Some other challenging aspects of the tiger where the details in his non furred areas. A great amount of attention went into creating his eyes, eyelids, nose, teeth, tongue, lips, paw pads, and claws.. each of which needed to match the real Richard Parker exactly. Aside from the main tiger, I also painted the emaciated version that needed cataract corneas, sunburns, bald spots, and even eye goo. Some of the other assets I worked on for Life of Pi include the yellow fin tuna, a whale shark, and a few other miscellaneous fish and props. 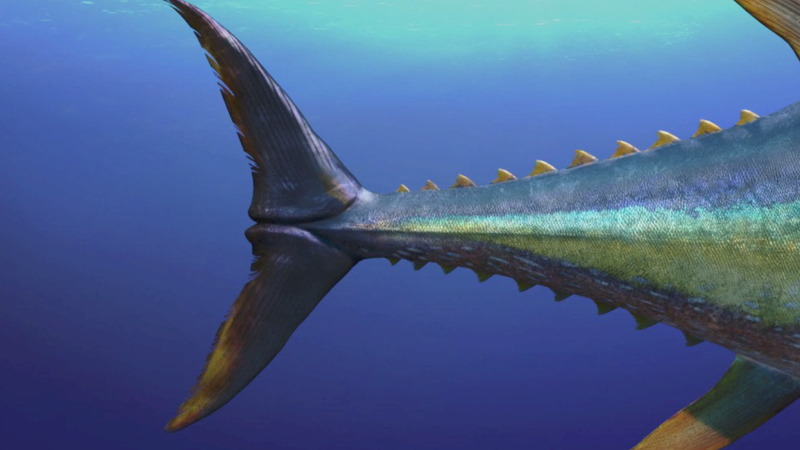 The yellow fin tuna was also a fun little side project because it was a very paint and sculpt heavy creature. Each scale on his body was hand painted and placed to match a real yellow fin that one of the production team members had caught. 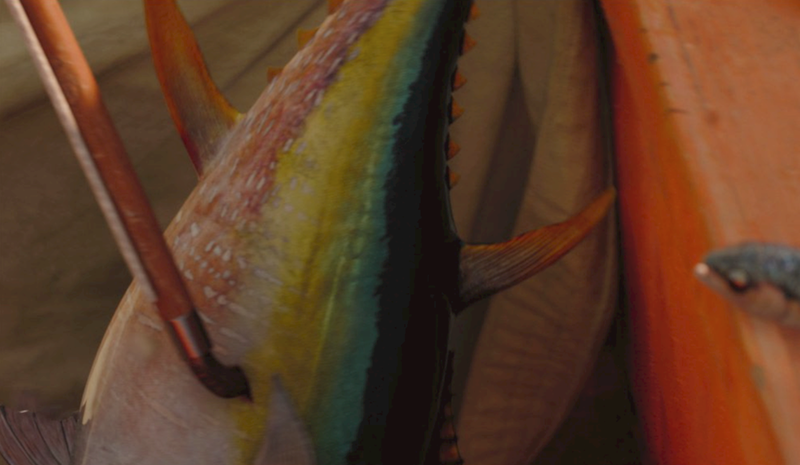 The scales needed to vary in size and shape along the length of the fish just like a real yellow fin would do. It also needed special iridescence maps to give it a colorful sheen.